Hello and thanks for reading! I’m Scott Chamberlain, a resident of the fair city of Minneapolis, Minnesota. Welcome to my blog. For most of my life I’ve balanced two more or less equal passions: a deep fascination with the past and a love of music (mostly, but not entirely, of the classical kind). I’ve alternated between these two passions in terms of study, employment and recreation since my days as a very wee lad. 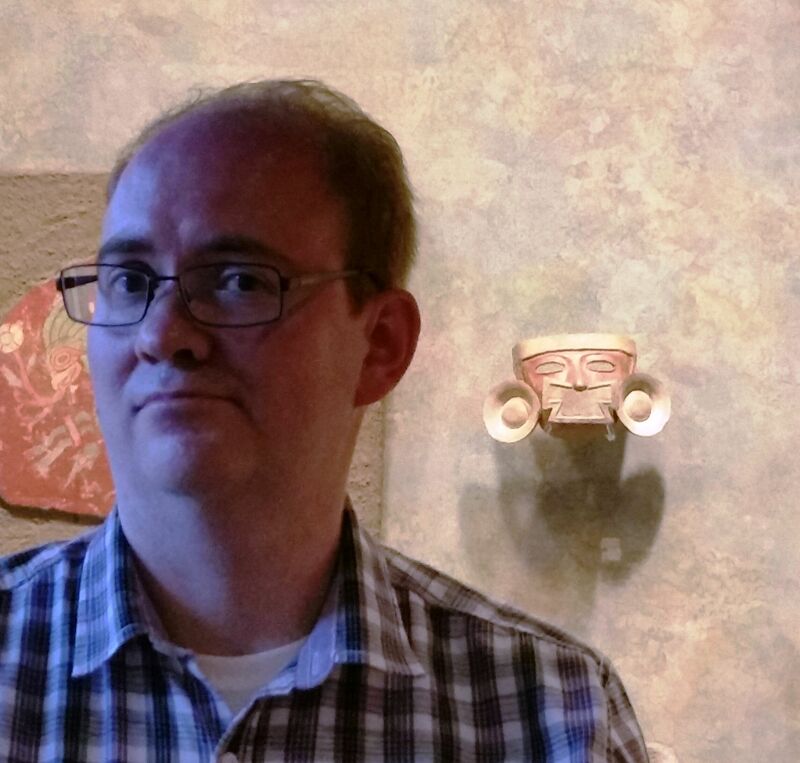 On the “past” side of the equation, I’ve been an ethnohistorian working on the pre-conquest cultures of Mexico (specifically the Mixtecs of Oaxaca, but with deep dives into the Aztec and Maya as well), and a traditional historian specializing in Costa Rican urban and cultural history. (As an aside, I’ve been known to do people’s astrological “chart” in the Aztec manner. It’s a great party trick.) For many years I taught Colonial and Modern Latin American History at the University of Kansas, in Spanish and English. Along the way, I’ve lived or spent much time in Spain, Costa Rica and Mexico. On the “music” side of the equation, I’ve been an active classical singer for many years (I currently sing with the Minnesota Chorale); I’ve performed several operas, although my true calling as a performer is choral works. But my involvement in arts organizations goes further than just performing. For more than a decade I’ve served as an arts administrator for diverse groups including the Minnesota Orchestra, The O’Shaughnessy Theatre, The Musical Offering, and One Voice Mixed Chorus. The blog name and cover shot are a fusion of these two trends. It’s named for Xochipilli, (“The Flower Prince”) the Aztec patron god of music and the arts who is also the patron of my birth day. He is also the primordial actor; the blog’s name gives a specific shout-out to his actor’s mask, which serves as his public visage while hiding his inscrutable true nature beneath. My blog’s banner illustration comes from the Codex Becker I, a pre-colombian Mixtec manuscript, and shows an ancient Mexican orchestra composed of flutes, whistles, trumpets and various percussion. 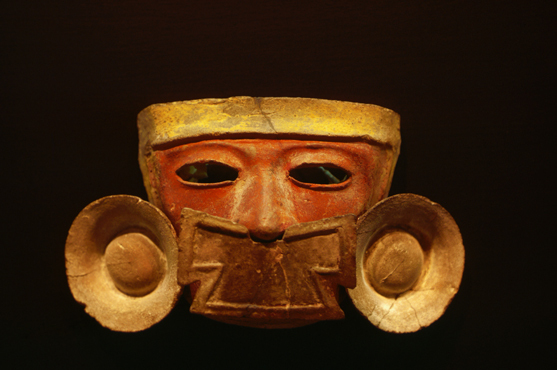 The mask emblem is a mask of Xochipilli discovered in the ruins of Teotihuacan, Mexico. 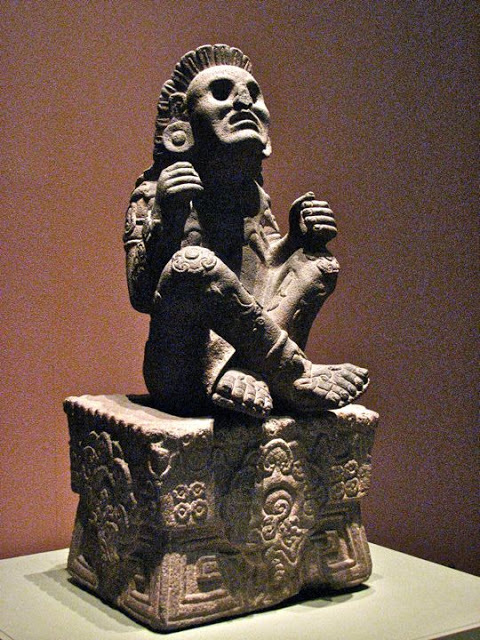 The other image is one of the most famous images of Xochipilli—a monumental sculpture now housed in Mexico City’s Museo Nacional de Antropología. “the nonsensical ravings of a singing archeologisit?” yup, i can go there. carry on. A hunter-blatherer. Yup, I can go there. Carry on. Thank you for this blog! As one who spent just why of a decade in the employ of the Minnesota Orchestra, as one who hopes to retire back to the area from whence I came and have a great orchestra with concerts to attend, and as one who is still in the industry only elsewhere, I thank you from the bottom of my heart. As Bill said above, carry on! Hello Scott! Its a pleasure to meet you. I happened upon your blog via a Facebook post of a good friend of mine, John Yeh, Principle Clarinetist with the Chicago Symphony. I clicked to read the article on the orchestra’s woe’s and couldn’t believe my eyes when I saw that the blog was “the nonsensical ravings of a singing archeologist.” My God, there are two of us? While I cannot quite claim professional archeological credentials, I have a lifetime interest in primarily southwestern archeology, though all ancient cultures fascinate me. Most of the time, however, when I’m not able to go hiking in the four corners area, I’m a voice teacher and the founder of Transformational Voice Institute (www.transformvoice.com), a not-for-profit in Portland, Oregon which trains voice teachers and teaches speech and singing from a holistic perspective. I have nothing but sympathy for your woes, some of which I have experienced myself. Running a not-for-profit is the hardest thing I ever did in my life, and very discouraging sometimes, until I’m told once again how our work has changed sometimes life forever. I wish you all the best in your efforts to protect the musicians of the orchestra! Take a look at our Institute’s website, if you get a few minutes. I’m trying to spread the word about our completely unique Voice Teaching Apprenticeship Program! I a a late comer regarding this issue, but look forward to you tackling a myriad of other important topics. No doubt I will be reading you in the “New Yorker” very soon…bravo! It is high time that I write you a personal note of great thanks for your contributions concerning the MN ORCHESTRA and the world of classical music. I have commented about particular posts in the past. We have much in common. In 2008 I took an early retirement from the Minneapolis Public Schools to move to Mexico. My full time job is now in understanding the language, culture and a MEXICAN wife. Like you, we have a passion for classical music and Latino history especially pre conquest. A classical music nut and passionate follower of orchestral music in Minnesota for many decades, it was hearbreaking to see what happened to my beloved band.. I called Gwen Pappas during a visit in December to tell her we were considering a return to Minnesota, but only if we had the guarantee of having a solid, world class orchestra. She told me not to move just yet. I feel that little has changed apart from a few exciting concerts and a dubious three year contract in which the musicians got the short end of the stick. Thanks to the bloggers like yourself who ask the questions and report what the mainstream media neglects to do. Your work is so essential. I only wish that Gina Hunter, Emily Larkin, Drew McManus and yourself had a wider audience. Could you please promote an alternative event for the canceled cymphony ball? This would give the fledgling grass roots MN ORCH supporters a chance to go outside the box to do much to bring in funds and new listeners. MUCHISIMAS GRACIAS. NO OLVIDES QUE NUESTRA CASA EN MEXICO ES TU CASA. I learned about you via the article on Peter Gelb and the Met situation. As a former arts administrator (I have worked for 2 classical record labels, one with Mr. Gelb as my boss, as well a top US orchestra), I now live in Lawrence, where my neighbors are the Herlihys (perhaps you may know them??). A strange and interesting confluence. Hardly nonsensical, although much that goes on in the music industry is…. Carry on, indeed! Small world! I do remember them… Peter was the resident expert on Latin American geography. I’m not sure that he would remember me, as our paths crossed only fleetingly, and it’s been a few years now. Fun! Just came across your blog in my facebook newsfeed. I am, oddly enough, a singer who blogs about archaeology. Nice posts, keep up the good work. Happy to meet you as a former employee of the Metropolitan Opera who was downsized due to their misguided policies under the current management I followed your posts about the recent labor negotiations. Thank you for making it clear to the public the things that have gone on there. I regret that the USA Today review of my book gave the wrong impression, one which will be corrected if you and your readers read my book, “The Crisis of Classical Music.” Like yourself I am devoted to the future of classical music, having spent the last 45 years working to improve the education and training of musicians. A third generation professional musician myself, I am aware of the joys of making and of listening to music. But the economic malaise into which our field has fallen will not improve simply by repeating the mistakes of the past. Times change, and with them societal values. The important evidence of the issues we are all dealing with involves the aging of our audience, the falling numbers of subscriptions, a decreasing percentage of earned income, and an increasing reliance on endowment spending. (Universities, which stay open because their graduates would not tolerate their closing, normally do not spend more than 5% of the five-year market value of their endowments, while orchestras too often are spending 7 or 8% of the market value of their endowments, a process that leads to a death spiral in but a few years.) Among a few of the suggestions put forward in my book towards an improved future for American orchestras: making the musicians the owners of the orchestras (as is the case now in Berlin), interviewing new players as well as auditioning them, making each of the players responsible for selling a dozen subscriptions, and encouraging some of the players who perform in only 25% of the repertory to undertake administrative responsibilities within the orchestra. On behalf of the musicians of Pacific Symphony, THANK YOU for your blog. You tackle the issues that threaten our livelihoods and our industry itself with creativity and ingenuity. You may or may not be aware that we are locked in a labor dispute here in Orange County, CA as well. The very rhetoric you dispel with each post on your blog is given as the reason to keep treating us, the musicians, as hired help rather than a community asset. Can I be in contact with you so that I might send you our most recent press release? If it is easier, please visit our website pacificsymphonymusicians.org. We appreciate all that you do for our beloved art form. We will keep fighting the good fight.